Proudly Serving Chino, Claremont, La Verne, Ontario, Pomona & Beyond! Are your appliances not running as they should be? Has your dryer decided not to dry your clothes, or is your dishwasher flooding your kitchen? Don’t panic—just call our Rancho Cucamonga appliance repair experts! At Mr. Appliance of Rancho Cucamonga, we have the solutions for all your home appliance repair needs. You can count on our highly trained professionals to have the right tools and the right experience to handle any appliance repair. We service nearly any type and brand of residential appliances, from dishwashers and microwave ovens to washers and dryers. With our prompt, professional Rancho Cucamongaappliance repair services, you’ll never have to wait! Call Mr. Appliance today. We offer comprehensive guarantees for every service. We use quality replacement parts and tools. 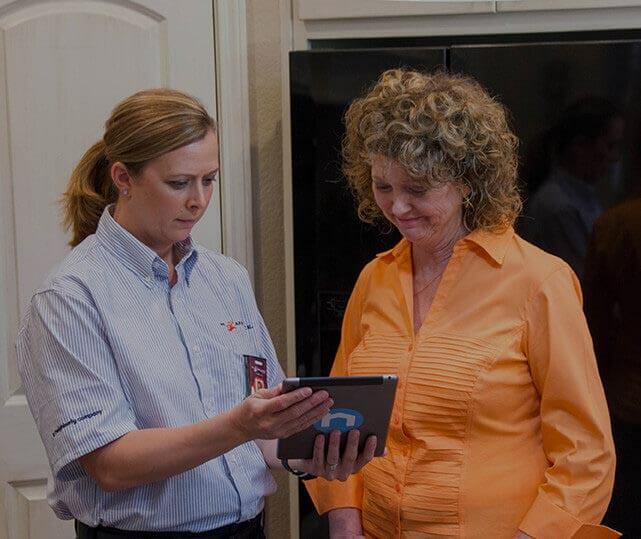 Our team of appliance repair technicians is highly trained. Our flexible scheduling makes it easy to book your service. We use flat-rate up-front pricing—no more surprises! Want to know more? Call our Rancho Cucamonga appliance repair company at (909) 254-5982. Why choose Mr. Appliance of Rancho Cucamonga? We take the time to thoroughly train and vert every member of our team. Our Rancho Cucamonga appliance service professionals are ready to handle any appliance repair service, on any kind or brand of appliance. We’re proud to bring you top-quality repair services, and we’ll go above and beyond to surpass your expectations—every time. Call our friendly, honest appliance repair experts today, and get the services you need to maintain and repair your home’s appliances. Schedule an appliance repair service today! Contact our team online, or call (909) 254-5982 to speak with our Rancho Cucamonga appliance repair team.